Joe McDonald has been a professional musician in Vancouver for 20 years, playing bagpipes and keyboards with "Bare Fact" and "The Mad Celts". 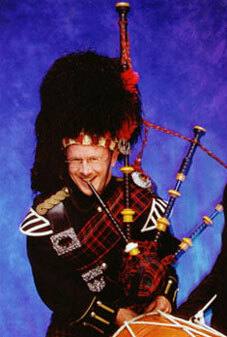 Joe has piped for the Lieutenant Governor of British Columbia and the Governor General of Canada. Joe is a fine vocalist and harmonica player. Noteable Entertainment & Events is a Vancouver based booking agency, party rental, entertainment services and event production company. If you are interested in booking The Piper please contact us.